The coordination and execution of an ALTA/ACSM land title survey is one of the many services Advance Surveying & Engineering provides to its clients in Golden Valley and Edina. What exactly is an ALTA/ACSM land title survey, and what is the ALTA/ACSM Association? Read on for answers. When a commercial, industrial, or multi-residential property enters the sales and financing phase, an ALTA/ACSM land title survey is a common component in the deal. An ALTA/ACSM survey shows certain conditions, easements, and other elements affecting the property on a survey drawing, along with the results of visual inspections and research that may reveal title problems related to the site. The main reason for an ALTA/ACSM survey is to eliminate risk before a property is insured, thus providing the insured party with the best-possible chance of avoiding land title problems. A title insurance company provides our land survey company with a title commitment that they guarantee is correct. This title commitment includes the property’s legal description, a list of easements, and other property-related issues. Advance Surveying & Engineering then conducts a survey based on the legal description provided by the title insurance company, and illustrates the easements and other matters of record listed in the title commitment. Items that must be included in an ALTA/ACSM survey include: Main structure, ancillary structure, water lines, gas lines, telephone lines, improvements, railways, and other potential utility easements. The aforementioned items (known collectively as “Table A”), and the quantity and detail with which they’re required on a given survey, play a large role in the survey’s pricing and completion time. What does the ALTA/ACSM Association do? The American Land Title Association (ALTA) was founded in 1907 and is headquartered in Washington, D.C. In 1962, ALTA joined forces with the American Congress of Surveying and Mapping (ACSM) to simplify an issue that had existed for decades. Specifically, the fact that when any real estate transaction occurs, up to several different surveys (each showing different information) could be created: one for the title insurance company, one for the lending company, one for the seller, and one for the buyer. The ALTA/ACSM Association’s mission was to create one comprehensive survey that meets most (if not all) of the different parties’ requirements. 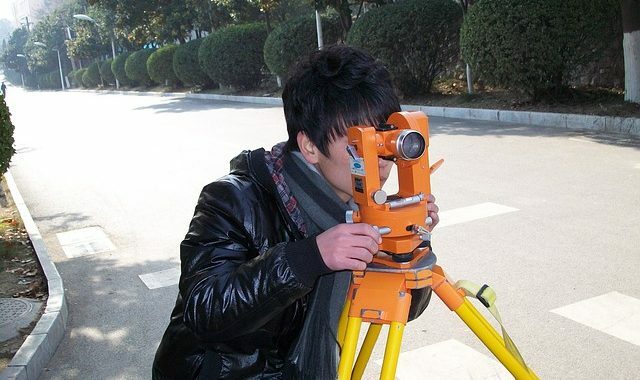 Thus, an ALTA/ACSM survey integrates elements of a mortgage survey, a boundary survey, and a topographic survey. Commercial property transactions require surveys prepared to specific guidelines, in order to provide the insurance coverage that most lenders and knowledgeable buyers require. Because these surveys are expensive and can take several weeks to complete, they’re typically restricted to complex commercial property negotiations in which different parties are involved, each with different objectives. Virtually every title insurance company is a member of the ALTA, along with title agents and abstractors. An “abstractor” is someone whose job it is to certify the ownership history of a certain real estate parcel. ALTA also has a number of associate members from several different professions: builders, developers, attorneys, surveyors, real estate brokers, and more. To learn more about an ALTA/ACSM land survey and whether your next project requires one, contact the experienced engineers at Advance Surveying & Engineering.